Direct mail marketing can be a powerful tool, allowing companies to reach past or potential customers who may not be actively engaged via email, social media or another medium. Direct mail encompasses a wide variety of materials, including postcards, newsletters, brochures, catalogs and more. It can be one of the easiest and most effective ways to reach out to new and existing clients. Despite its relative simplicity, there are a few steps marketers should take to ensure that their mailings deliver accurately while being optimized for expedited delivery and postage savings. Verify mailing lists against the most recent National Change of Address (NCOA) file. Doing so will help eliminate out-of-date addresses and minimize undeliverable mail, improving accuracy and saving money in the process. Dedupe addresses: Don’t send the same mailing to the same address twice! By deduplicating addresses, you’ll avoid appearing sloppy and disorganized, while also saving money by reducing the number of pieces you will print and mail. "Fix Your Zip Code” - Use Zip+4: Including CASS Certified Zip+4 zip codes on mailings can improve the accuracy and deliverability of mailings, while – you guessed it – saving money. 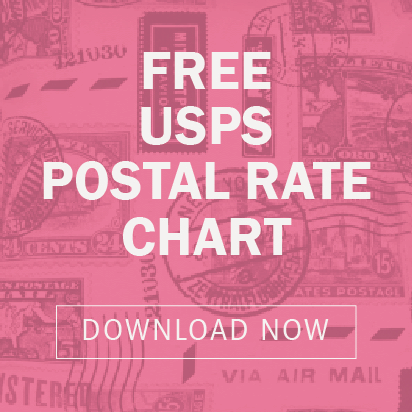 The Postal Service will often grant a lower postal rate to account for the time and manpower they won’t have to spend verifying the address. Presort mailings: Again, this could qualify for a postal rate discount due to the time savings on the Postal Service’s end. Check with your mail service provider for piece minimums and other details. Display your company logo prominently: By making it abundantly clear that your mailings are from your company, recipients will be more trusting of the mail and more likely to open it. Include identifying information: In addition to your logo, ensure that your mailing address and website are displayed prominently as well. Clarify your CTA: Make your call to action clear, concise and relevant to the recipient. Be mindful: Be considerate about the type of mailing being performed and consider the most appropriate type of mailing package that supports it. By spending a few extra minutes on your direct mail marketing pieces’ accuracy and messaging, you’ll increase the likelihood that recipients open and engage with your mailing. It’s an investment worth making. The John Roberts Company is a full-service marketing execution company, providing a variety of services including commercial printing and packaging, mailing and digital marketing services, and more. To learn more about our company and how we can help you succeed, get in touch today.